Kershaw had lower back tightness. 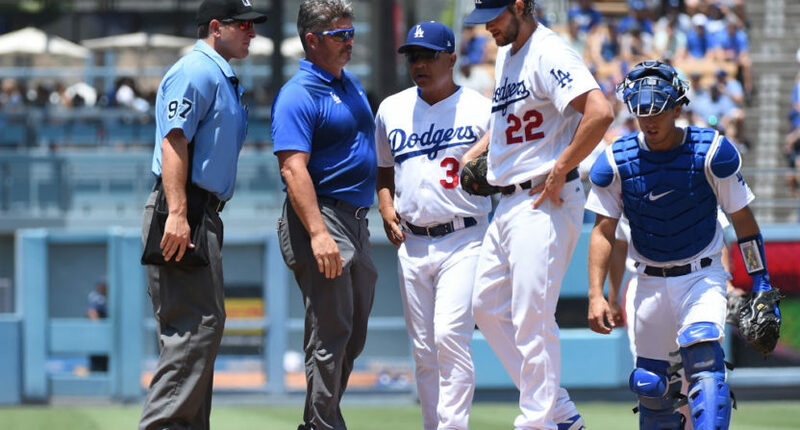 You never want to see your star pitcher go out with an injury but that’s just what happened to Dodger fans as Clayton Kershaw had to be taken out in the 2nd inning due to lower back tightness. Ross Stripling entered as the Dodgers faced the Braves. There seemed to be signs that something was going on with Kershaw before he had to be taken out. It was revealed that Kershaw’s velocity had dropped. Also, Kershaw has had a history of back pain so this may be a worry for the team. It sure is a worry for Dodgers fans considering the unknown of their star pitcher. Despite the Dodgers being 10.5 games ahead in the NL West and no doubt heading toward a playoff spot, they would want everyone to be healthy in order to go for their first World Series title since 1988. The fans are waiting for news. "Are you sad about Kershaw being hurt?" We need a Kershaw cam. Need to know exactly what’s going on right now. Not to be too dramatic or anything but if Kershaw is hurt and not just sick I will literally die!! I'm on break from work and see that Kershaw is hurt?? @Dodgers take care of him please? @Joe_Davis Kershaw? ??? Do we need to sacrifice chickens or something to fix it?